Description: Specifically designed for year round indoor/outdoor entertaining. 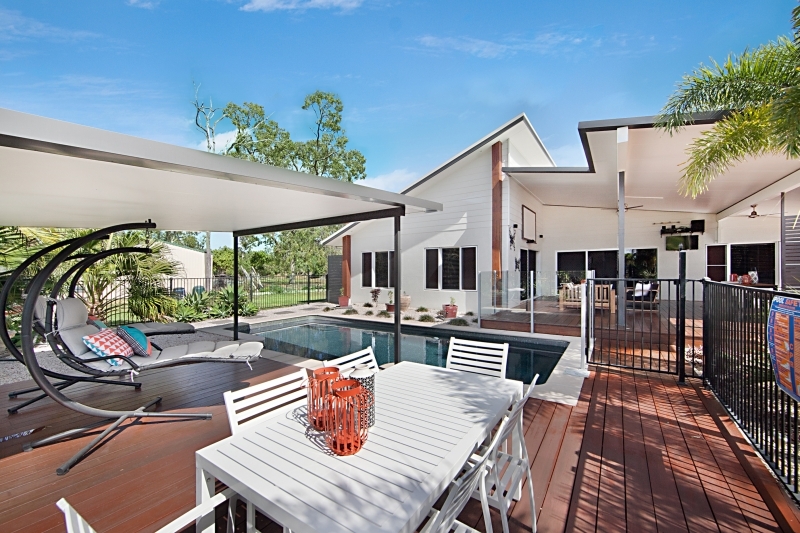 The stunning multiple outdoor entertaining & living areas face N/E for shade in summer and sun in winter - here you have it all! The real BONUS with this property is the large shed (built in July 2012) boasting 2 convenient roller doors and power. Part of the shed has been enclosed offering a separate air-conditioned living area with a kitchenette and bathroom facilities plus 2 separate rooms. This would be fantastic as a teenagers retreat, great for guests or maybe a work from home office space - whatever your lifestyle!! * The shed has been enclosed offering a separate air-conditioned living area with a kitchenette and bathroom facilities plus 2 separate rooms. This would be fantastic as a teenagers retreat, great for guests or maybe a work from home office space - whatever your lifestyle!! This idyllic rural setting is situated in the ever popular Rupertswood, a great child friendly community only a short 5 minute drive from major shopping precincts (The Willow Shopping Centre and Cannon Park, (Townsville's main entertaining area cinemas, restaurants, Kingpin Bowling, Cafes, Bars etc.) schools, daycares and the arterial ring road which easily connect you to the rest of Townsville.